Can you believe that summer is just around the corner? Today was my little guy’s last day of preschool! If you are a planner like me, you might be looking ahead to the summer months and already starting to plan things out. In June, the Come Follow Me curriculum is all about the priesthood, which is so fitting because Father’s Day is also in June. 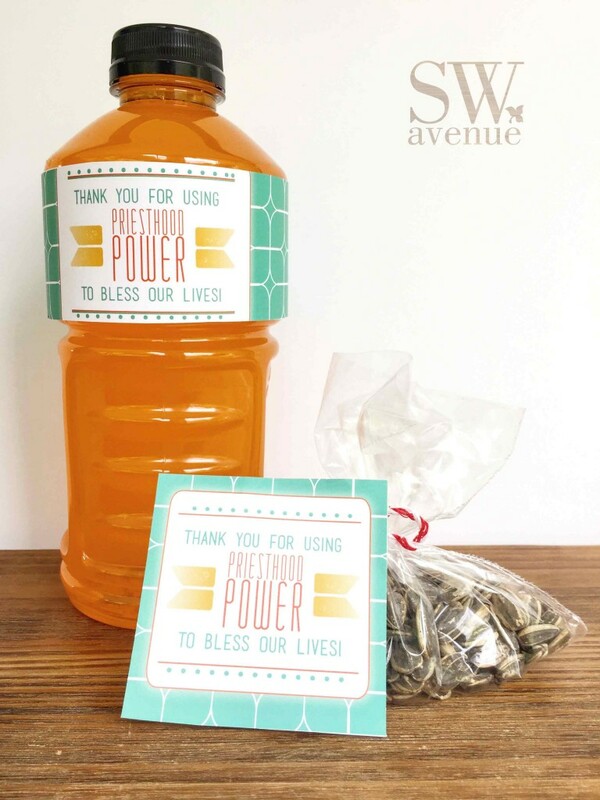 I decided to make these fun printables that can be used as a gift to recognize and thank the men in our life for using priesthood power to bless our lives. Included in this kit are two different printables. One is a bottle wrap to wrap around a bottle of Powerade. 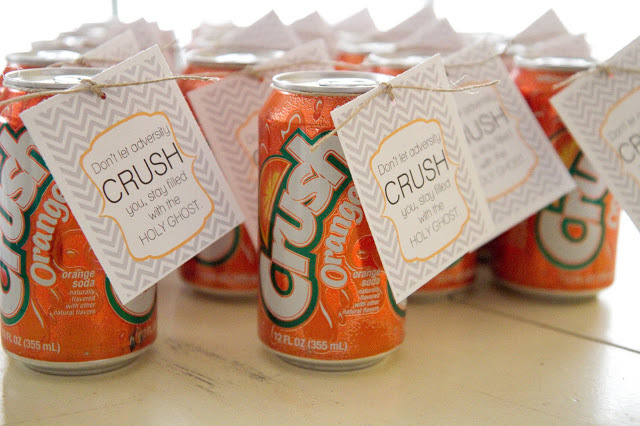 The other is a tag that can be used to tie around a bottle of Powerade, or to use with any gift. I also created these on 2 different sizes of paper, 11×17 (to be able to wrap around the entire bottle) and 8.5×11. All the files are available here. These printables also coordinate with the Come Follow Me lesson printables that are available here. This entry was posted in Family, Gifts, Printables, Young Women Come Follow me and tagged Father's Day, free printable, Melanie B., Priesthood on May 17, 2016 by Melanie Biddulph. Seriously. Take that in for a minute. The SINGLE MOST IMPORTANT skill. Is that powerful, or what!? I have often thought to myself several times regarding different social issues, “Self, I just wish the prophet would come out and tell us exactly how to deal with this.” But really, isn’t that why we need to learn the skill of personal revelation? It really is a skill that has to be practiced, and can differ greatly from one person to another. We truly do have to develop the skill of learning how the spirit speaks to us.I love the personal guidance that patriarchal blessings give us and the direct form of revelation that it provides. In this printable kit, I have included an interactive handout that is meant to be taken home (not done in class). I had an institute instructor teach us to read our blessings line by line and break it down into 4 categories: Gifts, Counsel, Promises and Warnings. Once you are done, keep it with your blessing as a quick reference guide and reminder. You can find the printable kit here. Make sure to check here later in the week for additional May Come Follow Me lessons being added to the shop, as well as other Come Follow Me lesson printables. 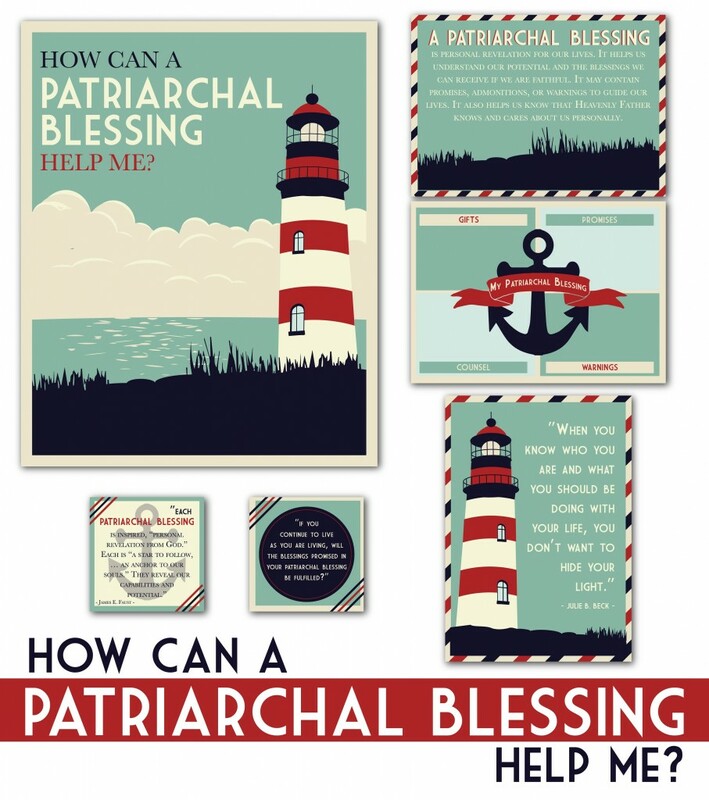 This entry was posted in Printables, Teaching Tips, Young Men Young Women Joint Activity, Young Women Come Follow me and tagged Come Follow Me, Melanie B., Patriarchal Blessing, Young Women on April 26, 2016 by Melanie Biddulph. Whether you love to teach or dread it, holding a teaching calling is inevitable in our church. Here at Sugardoodle we’re going to focus our Monday posts on helping you tackle one of the hardest and most rewarding of all callings…being an influential teacher. Teen teaching is particularly tricky. It’s often hard to get them warmed up enough to talk…let alone share something meaningful. Today I’m sharing a favorite tool for getting to know the students in my classes. This free printable questionnaire can help kick-start conversations and help you understand your class on an individual level. You can find the FREE teen questionnaire printable by clicking the link below. This entry was posted in Teaching Tips, Young Men Young Women Joint Activity, Young Women, Young Women Come Follow me, Youth and tagged Lesson Helps, Questionnaire, Teaching Teens, Teaching Tips, Teaching Youth on April 25, 2016 by Maria Eckersley. Today I have a beautiful printable for you. But we can be honest here, right? Okay…here goes. This was not what I was planning on sharing with you. In fact, I had a completely different printable ready to share, was about to hit publish and WHAM! Was hit with a full-blown melt down, panic attack. Yep. True story. Ugly cry and all. What was the madness behind the tears? Well for starters, I was having computer issues, which always induces some form of panic. But I was also slammed in the face with this all-consuming, awful feeling of inadequacy. You know what I speak of, yes? This little (sometimes huge) voice in my head was telling me that what I have to offer isn’t good enough, that it won’t matter and that I am wasting my time. I wish I could say this is the first time this has ever happened to me, but I’ll be honest and say that this is a battle that I have fought many (many, many) times. When I was in my younger years, this little voice would nearly cripple me from accomplishing just about anything. However, I feel like I have come a long way in battling this demon, but once in a blue moon, it sneaks up on me and rears its ugly head. It frustrates me to no end when I have these feelings, because I swear its something that I have overcome or somehow conquered. But then it pops right back up, usually un-announced, un-invited, and definitely not welcomed. So what did I do? I slammed my computer shut, drew a bath and decided to call it a night. Even though I really did not want to (honesty, right?) I knelt down for prayer. 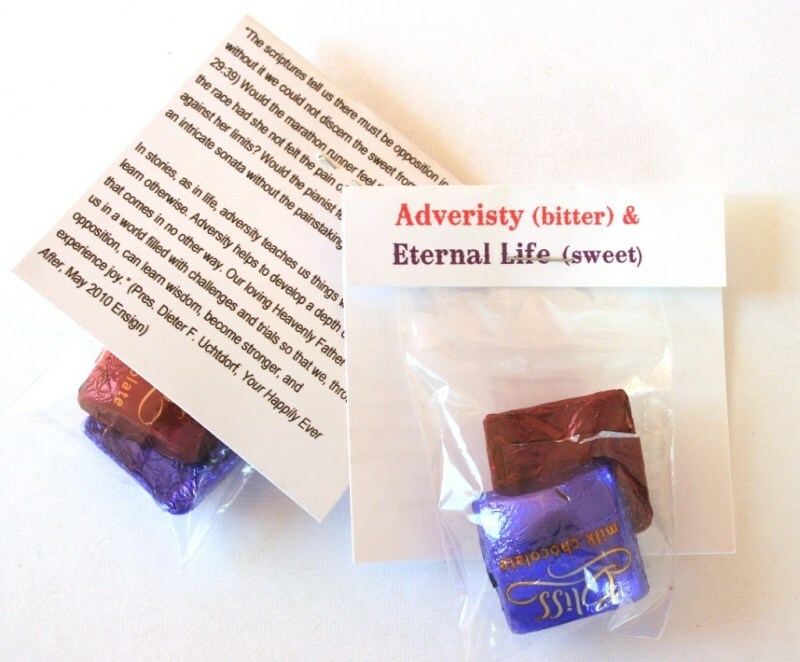 I was almost instantly reminded of this month’s Come Follow Me lesson on Grace and the scripture found in Ether 12:27 that speaks about Christ’s grace being sufficient to turn our weaknesses into strengths. I love what Elder Ucthdorf says about grace, “Another element of God’s grace is the opening of the windows of heaven, through which God pours out blessings of power and strength, enabling us to achieve things that otherwise would be far beyond our reach. Throughout our lives, God’s grace bestows temporal blessings and spiritual gifts that magnify our abilities and enrich our lives. His grace refines us. His grace helps us become our best selves.” So not only can I apply grace in spiritual matters, but I can apply it in my day to day temporal needs. I can use grace to get that voice out of my head tells me I’m not enough. Grace can stretch what I have to offer into much more than I think I have to give. Get this 8×10 and 5×7 printable here. This printable coordinates with the Come Follow Me lesson helps that is available here in the Sugardoodle Shop. This entry was posted in Printables, Young Women Come Follow me and tagged Come Follow Me, Grace, Melanie B., Young Women on March 15, 2016 by Melanie Biddulph.